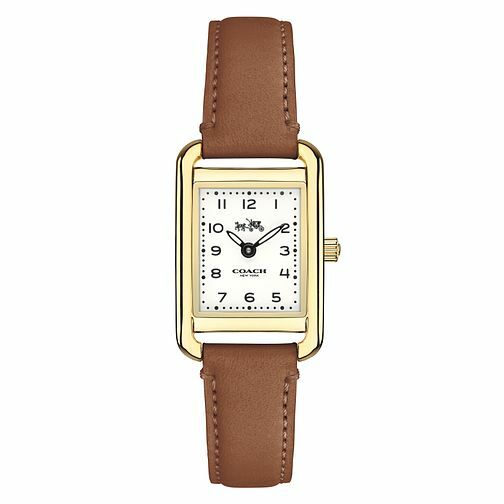 Add a sophisticated, bold style to your outfit with this brown leather strap watch from the Coach. Crafted with an elegant gold tone case, the fresh white square dial offers a refined and classic edge. Finished with highly visible black indices and classic logo branding, this sophisticated timepiece will never go out of style.